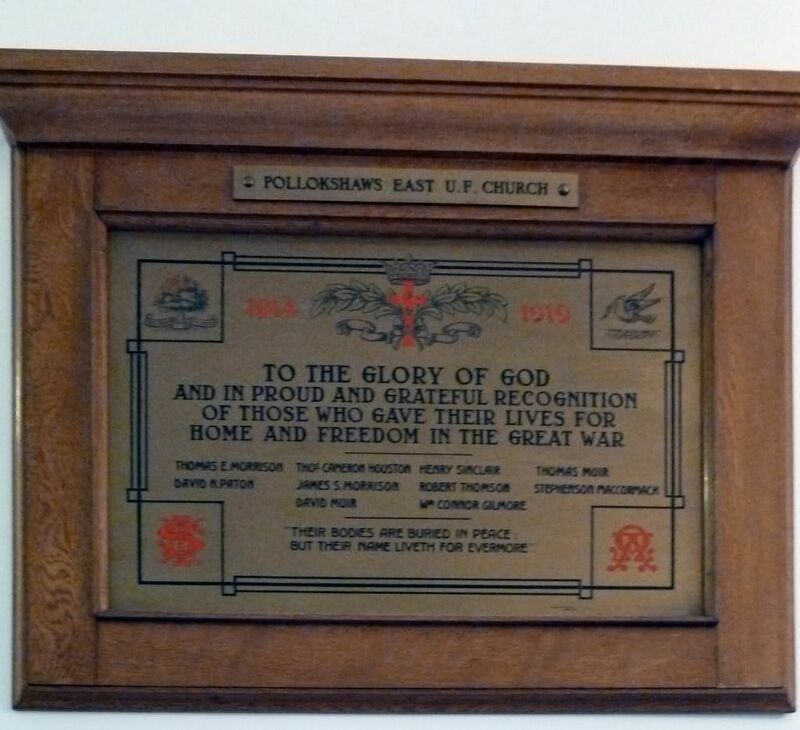 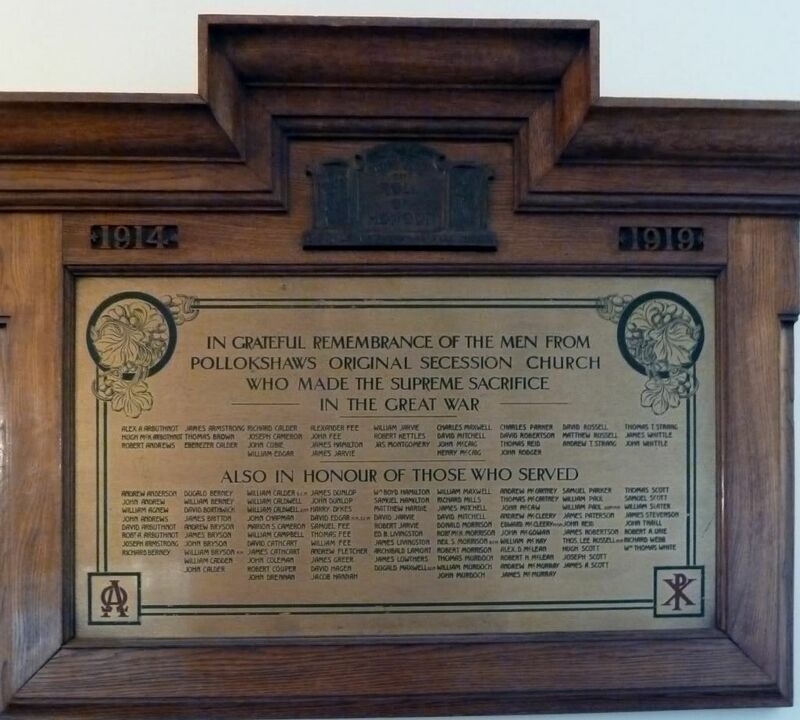 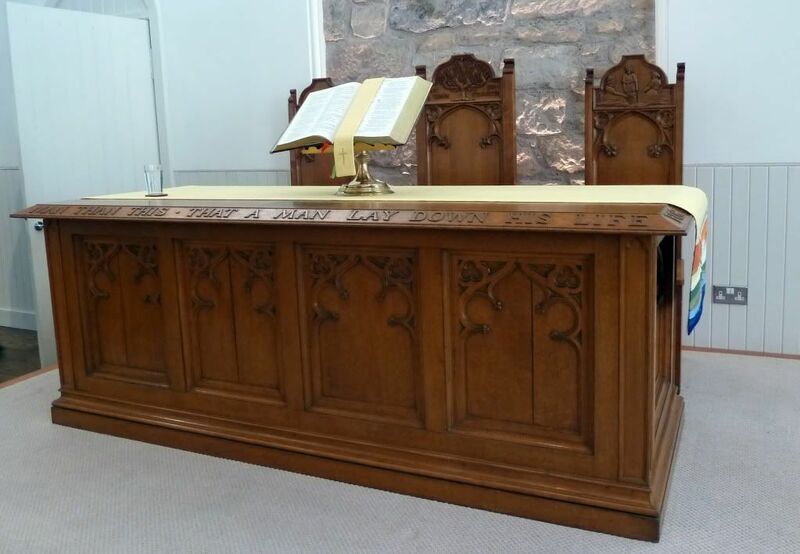 The Communion table was dedicated as the WW1 memorial. 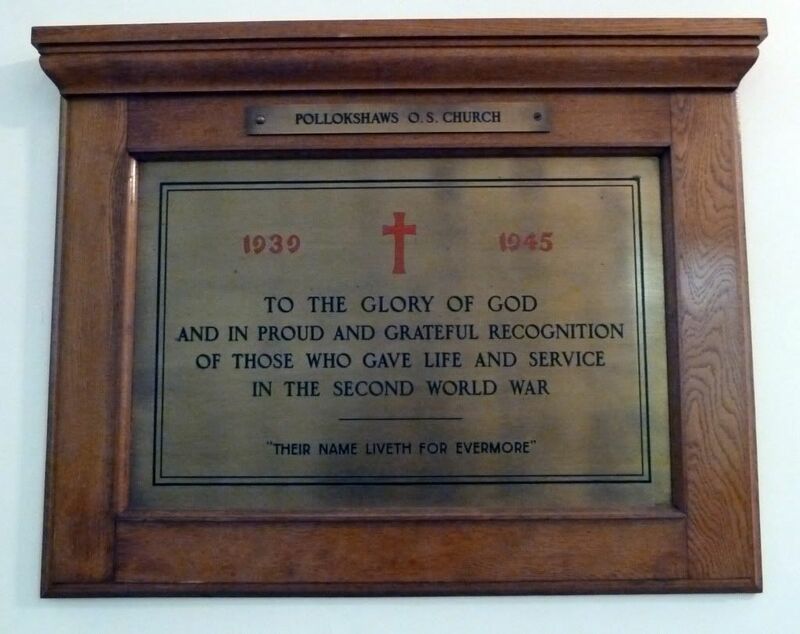 There are three memorials hanging in the church vestibule. 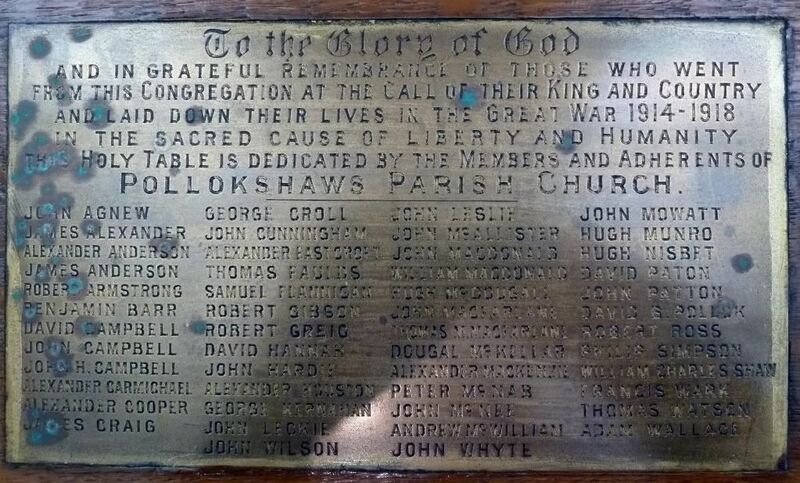 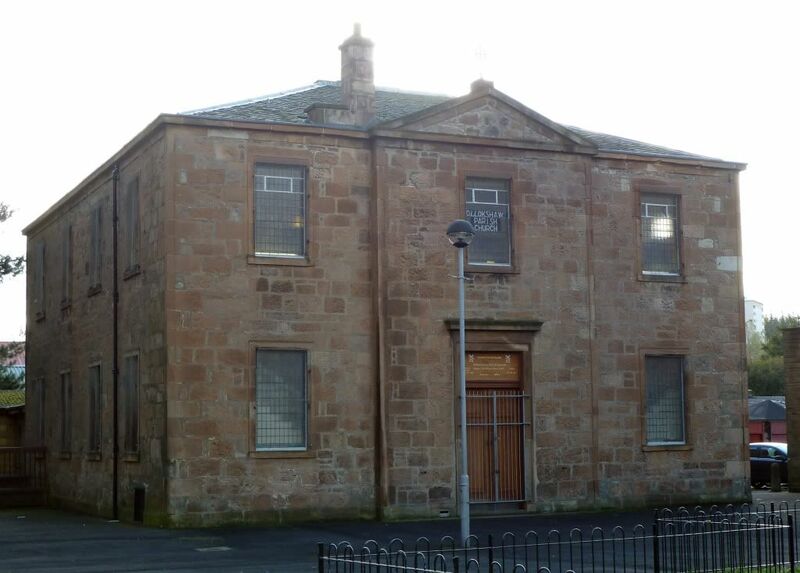 The other two are from the Pollokshaws OS Church.